With Pancake Day just around the corner (Tuesday February 13th 2018) there’s a lot to be said for mastering the art of serving a great plate of pancakes! Piled high and smothered in maple syrup or artfully folded and garnished with sugar and lemon juice, the perfect final product is thanks to smart preparation. And – like a perfect pancake – if you follow the right steps, a good Quality Assurance (QA) process can help you deliver the perfect asset to clients every single time. Which is all very well and good, but how do you get an effective process in place? 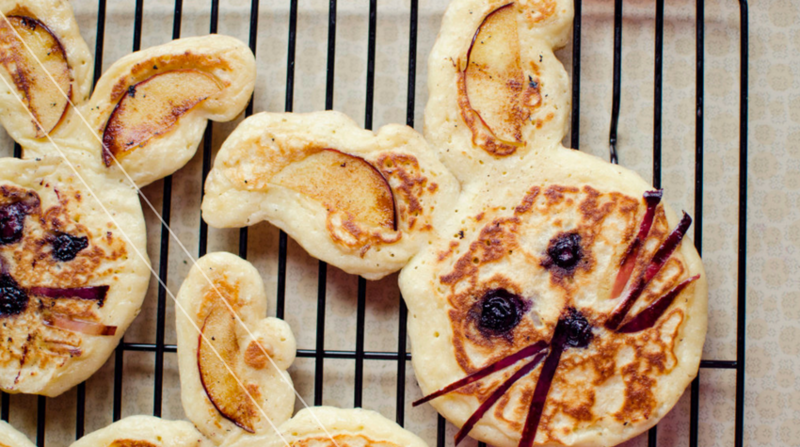 Let us don our aprons as we explain – via the art of pancake making! Step 1: Choose your recipe before you start. AKA Decide exactly what you need QA’d? Although similar in ingredients, the actual process for making a crepe or American pancakes does vary somewhat. Similarly, with an email or landing page template, there are subtle but significant issues which need addressed. For example, on a landing page a key issue might be ensuring that forms all work correctly and lead data is successfully captured. But on an email perhaps the key issue is making sure that specific regional variations are implemented. Step 2: Is the batter the right consistency? AKA Have you provided a high-quality brief to your QA testers? Your QA brief is no different. We all know how frustrating it can be to work from an incomplete brief, so make sure don’t inadvertently subject any of your team members to it. When devising an internal testing template remember, just because you had a brief from a client, doesn’t mean the other departments were so lucky. In some instances, it might work to have a ‘one size fits all’ outline where you can just fill in the blanks. But chances are, a bit of collaboration between you and your QA department will go a long way to help ensure you both have everything you need. Step 3: Did you land the all-important pancake flip? AKA Does everything work as it should? So many pancakes have landed on the floor (or the ceiling) because the cook hasn’t practiced the flip enough prior to attempting it. At this stage you should thoroughly QA all assets as it’s where most mistakes are likely to occur. Check links are pointing to the right place and are tracked. Make sure that forms can be filled in and cleared correctly and all spelling and grammar is impeccable. Test everything, and then once more, and then just for good measure test again. Far better you spot something than a client does. Step 4: Has your pancake folded over or torn? AKA Have you checked your layout and formatting? You know that first pancake you flip without really thinking about it? It usually narrowly escapes hitting the floor by catching on the edge of the pan and being manoeuvred back into place. It usually tastes alright, but always ends up a bit squashed and not quite perfect. Similarly, with any asset nearly ready for client approval, it’s a good idea to check your layout and formatting across multiple displays. There may be a piece of errant code or unexpected padding which doesn’t show up on your go to web browser, but might be clearly visible on others. QA specialists have lots of nifty tricks which allow them to test across multiple devices and platforms, so it’s well worth asking them to perform these checks. From ensuring everything is mobile optimised, to making sure Windows and Mac users get the same experience, these will all be picked up and adjustments can be made. All before the client sees it. Step 5: Serve your pancake with the perfect topping! AKA Does your asset have a clear purpose and CTA? Sweet or Savoury, hot or cold, it doesn’t really matter how your pancake topping is served, so long as you know exactly what it is. Your marketing assets should be no different. During the final sign off, make sure your collateral has a clear purpose and CTA. For example, an email featuring dynamic content, a social media post with an engaging tone of voice, landing pages with easy to use forms; the list is endless! If you’ve been successfully liaising with your QA department, this final sign off stage should be the simplest, as most of the leg work will have already been completed. Everyone happy? Great let’s get that asset out the door! A successful and effective QA stage is guaranteed to improve the overall quality of any deliverables, and make a real difference to the whole creative process; leaving both you and the client extremely satisfied.